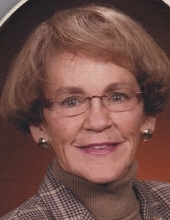 Sandra Louise Griffith, age 81, passed away February 2, 2019 in Omaha. Sandra was born in Council Bluffs on November 10, 1937 to the late John B. and Lyda (Moore) Petrus and graduated from Abraham Lincoln High School with the class of 1955. She also attended the University of Iowa and Grinnell College. On November 29, 1958, Sandra married Robert C. Griffith in Council Bluffs and together owned and operated the R.C. Griffith Walnut Company. Sandra also worked briefly at Northwestern Bell. Her memberships include, First Christian Church, and the Council Bluffs Service League and with husband Robert, loved to spend time at Leech Lake in Walker, Minnesota. She is preceded in death by her parents; brothers, Richard and Bernie Petrus and husband, Robert C. Griffith in 2014; daughter, Jill Ann Bertelsen in 2015 and son, Jeffrey A. Griffith in 2017. Sandra is survived by son, Michael (Liz) Griffith of Omaha; grandchildren, Kaitlin (Karl) Fahlbusch, Jeremy (Shayna) McQuinn, Taryn Griffith, Ryan Jon and Megan Griffith and great-grandchildren. To send flowers or a remembrance gift to the family of Sandra Louise Griffith, please visit our Tribute Store. Luncheon in the Cutler-O'Neill Community Room following interment. "Email Address" would like to share the life celebration of Sandra Louise Griffith. Click on the "link" to go to share a favorite memory or leave a condolence message for the family.